New or used CNC machine? An interesting difference between the Australian woodworking industry and our overseas counterparts is the size of our workshops. Throughout our major capital cites and regional areas its not uncommon to walk into 2-3 man workshops that specialise in custom made joinery. This is of course partly due to the nature of the market, as Australians traditionally favour custom built in joinery such as kitchens and wardrobes rather than off the shelf standard modular units... To view the full blog article click here! Designing Built-in wardrobes Polyboard is a unique & powerful tool for designing and manufacturing built in furniture. This is true even for complex built in bedroom wardrobes. 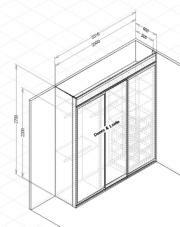 No matter if you design internals only, internals with hinged doors, or Mirror doors with aluminium profile frames, Polyboard can help you design it all: Compete accurate cut-lists for both sheet boards, & aluminium profile lengths - all in 3D with 100% accurate costings for each component right down to the last screw! While many specialist wardrobe programs produce nice looking pictures, and not very reliable cut-lists, Polyboard in addition to allowing you to design wardrobes to custom requirements in 3D it also will give you a fully accurate cut-list that you can actually use in the workshop for: • Cutting internal timber parts • Cutting or ordering aluminium profile lengths • Cutting hanging rails to length • Cutting or ordering mirror or glass sheets As well as accurate cutlists, detailed costings are automatically produced for all jobs in Polyboard and will make light work of all your quotations. Itemised pricing is automatically given for panel materials, Edgebanding, profiles lengths such as aluminium door frame components, top / bottom tracks and coat hanging rails. Each fitting down to components such a screws are all costed and totalled including parts such as: shelf supports, drawer runners, hanging rail end brackets, & fixing screws. Other features that are of interest of the industry include: easy design of wardrobe internals, sliding doors and tracks, workshop drawings of units, and complete jobs. and CNC machine integration if required. 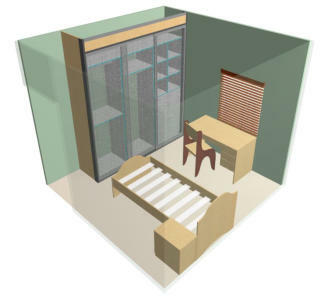 To view the industry page on creating built-in wardrobes with Polyboard Click here! January 2013 Welcome back everyone from your well earned holiday break we hope the new year of 2013 will bring much success to your business endeavours! In this newsletter we would like to share with our loyal customers and potential clients, some of the new features that we have been working on. 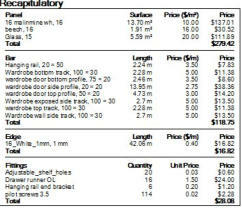 First up we are working on new industry specific product pages on our website. Starting with built-in wardrobes, and kitchens, we will move on to office furniture, stand alone home furniture, bathrooms including shower screens ,and vanities, shop fittings, etc.. In time this will really demonstrate the power and flexibility our unique design program: Polyboard. 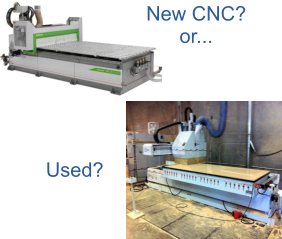 Next we have a new article in our blog section that goes through the pros and cons of new vs used cnc machines and as most joiners out there have a CNC in mind at some point down the track its important to know your options are when those sales people come knocking.. We also have had our article about he benefits of saw optimisation published in the recent December issue of Supplier magazine. if you haven’t already read it its a great informative article, that proves that calculated optimisation will save you time and money compared to cutting parts off the top of your head and without any planning. See below.. Lastly we have a testimonial from our recent customer Peter Brown from P & S Furniture. Peter is a long time member of the joiner industry in Perth and operate a successfully commercial furniture fitout business for 40 years. Having sold his business recently he was on the lookout for new software and was pleasantly surprised by what he saw in our cabinet design and sheet optimisation software Polyboard and Opticut. Benefits of saw optimisation. One of the great aspects that comes out of talking and meeting with many companies and members of our industry, is that you get a feel for general conceptions and mindsets that exist out there. The interesting thing is that many people out there seem to share the same feelings toward certain issues. Obviously my conversations relate around design automation and optimisation as it relates to the trades. I’ve come across quite a few so in the coming months I will go address each one individually, but in this article I wanted to talk about the benefits of Saw optimisations verses doing cutting lists by hand. While most people see the advantages that an optimisation computer program (like our own Opticut) can provide for a larger company or even for a large contract job these still seems to be a persistent view that it can be to faster to simply to take each part on the cutting list one at a time and cut the required number of parts from the available material on hand... Read the full article. click here! I have been in the commercial furniture industry for over 47 years and seen many changes in that time. After searching for many years to find an affordable and creative design program, I was pleasantly surprised when I came across Polyboard I was able to incorporate Polyboard into my work systems to create accurate designs and working drawings with optimized cut lists As I mainly do one off individual projects these days, it is great to have the ability to produce accurate design drawings to present to my clients. Very happy with the back up service from Asher it has been excellent. 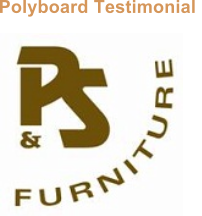 Peter Brown P &S Furniture To view the testimonials page, Click here!